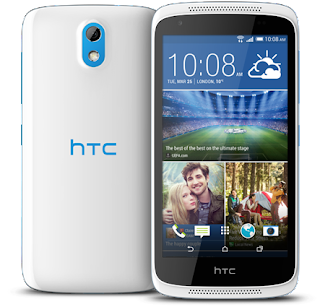 HTC Desire 526g+ MT6592 flash file is tested by me and it is working very well without any error, can use this flash file when device can use this guide when device in Remove Virus, pattern lock, hard reset, flashing, software update, update, format, reset, phone lock, sim lock, pattern reset, pin lock, flash, hang on logo, only logo solve, hang logo solution, hang problem, firmware update, pattern lock, pattern unlock, pattern reset, phone lock, phone reset, format, hang on logo done, sim lock, screen lock, screen unlock, pin lock, stuck on logo done, user name password id problem, fix unfortunately app has stopped, unfortunately app has stopped working, unfortunately app store has stopped, unfortunately apps has stopped, unfortunately your app has stopped, auto turn on internet connection, auto turn on WiFi connection, auto app installing, auto gone balance etc these type issues can use this way etc. This is used without any tool and box.and also free for all who has knowledge about software in mobiles.for flashing file it is most important to first check micro USB cable. if it is not good, can not flash it. and the another one is to check device battery. it should not be low, it can stop device between flash. before the flash, it is necessary to save data like contacts, photos, videos and other important things. * Copy sd flash file to sdcard Boot into recovery mode update the zip. fastboot Driver folder nd run belw gvn cmmds. in sp flash tool should we have to select firmware upgrade?? My android is likely dead.it shows 'no command'.I cannot update any zip file from sd card.whenever i try this it says it needs cota upgrade.what is cota upgrade?? what should I do?? I pressed the download botton , and den connected my phone . first a red bar say 100 percent , n den a purple bar. After dat i am getting an error code 4008.. Please help me out . After downloading about 50%, error 4008 appears.!! What to do.? Please help..! My HTC desire 526 g plus function like dead recovery mode and fastboot mode not working now when I power on my device nothing happen and when I going like volume up button with power button nothing happen then when I plug to charge my device light glow and showing HTC logo powered by android after that it switch off then again light up and show HTC logo powered by android written and again repeat as same what will I do ?please help sir. First show me which model of your HTC ? hand set dead BROM ERROR:S_SECURITY_SECURE_USB_DL_IMAGE_HASH_FAIL (6047), MSP ERROR CODE :O*00.
hello during software update my htc 526g dual crashed, i got the logo android with message ERROR. I tried hrd reset with volume up and power button and select recovery to do a hard reset but i got the android logo again saying NO COMMAND. I need your help what should i do now. 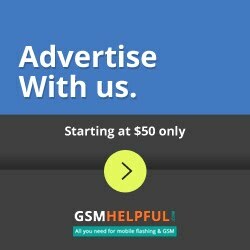 Can you give me step by step how to make my phone work properly and if possible my email poiron5@yahoo.com you can have a follow up of my progress. Thanks i badly need help. my Htc 526G shows no command Error , Crashed during software update.